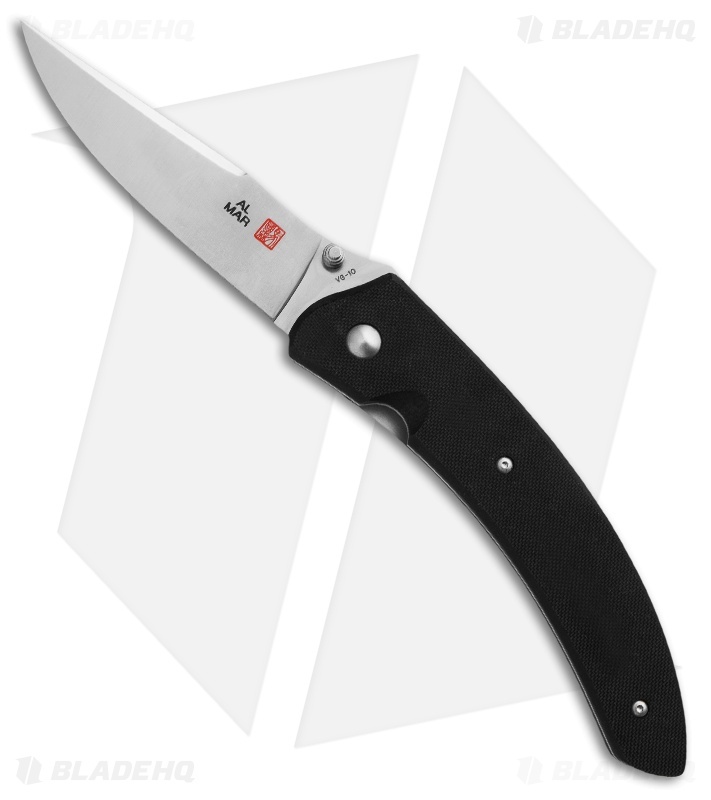 The Shrike folder is a Kirk Rexroat design that shares Al Mar's heavy duty liner lock system, pillar construction and open-built handle. 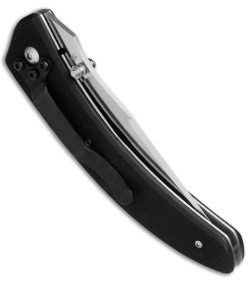 Its flat ground trailing point blade is high satin finished and has smooth action for opening via thumb stud. The Shrike makes a slick everyday carry knife with its stainless steel pocket clip. Just look up Shrike, and you will see how the name truly fits this knife. This is actually longer than the SERE 2000. Despite that it is considerably lighter, and very nimble and sharp. The way the grip is shaped allows for multiple hold options, while allowing positive control. All without choils or pinky hooks to snag on your pocket. The effect makes for a strikingly elegant, minimalist design.The top of the knife is contoured to allow use as an impact tool for a less lethal self defense option. Typical Al Mar quality too. Feels great in the hand. I am a lefty, but I have no trouble carrying and deploying this. I am used to carrying tip down, and this suits me fine. Mr. Rexroat really put some thought into this, and it shows.Sadly, it is out of production. If you are looking for a large yet nimble tactical folder, you would do well to seek this out.